Left to right: David Palasits, Executive VP of CRS; Danielle Corea, Relationship Manager, CRS Northeast Mid-Atlantic; Rev. 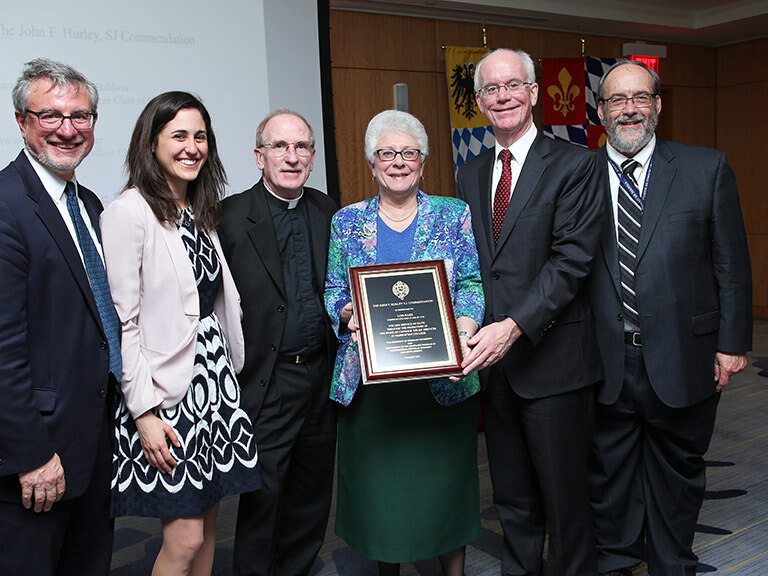 Joseph M. McShane, S.J., president, Fordham University; Lois Harr; Brennan O’Donnell, president, Manhattan College; Fordham IPED Director Henry Schwalbenberg. Lois Harr, assistant vice president and director of Campus Ministry and Social Action at Manhattan College, and a 1976 graduate of Fordham College, received Fordham University’s John F. Hurley, S.J. Commendation in an event on March 8. This commendation recalls the legacy of Fr. John F. Hurley, S.J. (1892-1967) by honoring a member of Fordham’s family who has actively promoted the work of Catholic Relief Services (CRS) in the United States. Fr. 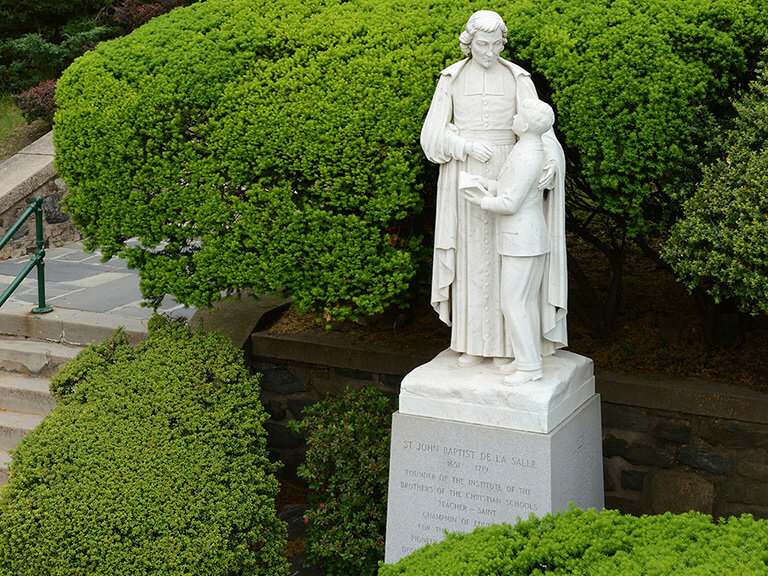 Hurley was a 1914 alumnus of Fordham College and the founder of Catholic Relief Services in the Philippines. At the urging of Sr. Arlene Flaherty, OP, Harr began her relationship with CRS through Manhattan College’s Lasallian Outreach Volunteer Experience (L.O.V.E.) service immersion trip to Ecuador in 2007. There, the delegation met with CRS staff and learned about Fair Trade. 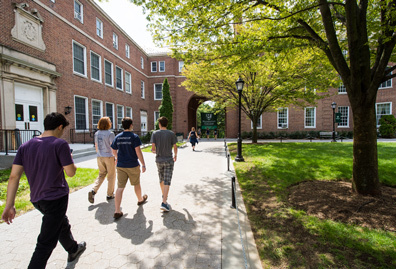 As a result, Lois became a Fair Trade ambassador for CRS, and in February of 2012, Manhattan College became the first Fair Trade college in New York City and the fifth one in the nation. 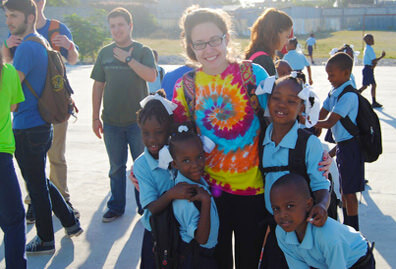 Harr has visited CRS operations in Kenya, Rwanda, Haiti and the West Bank. She also facilitates the Catholic Relief Services – Manhattan College Partnership Task Force and advises the Manhattan College CRS Campus Ambassadors. 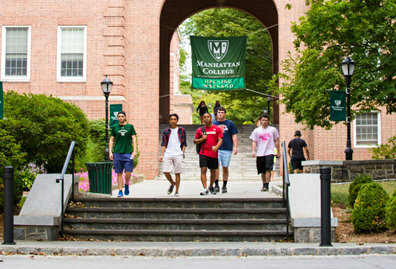 In 2014, Manhattan was recognized as a CRS Global Campus. She attended the first CRS campus ambassador national training in 2014, the Student Ambassador Leaders Together (SALT) summit in 2016, and she is currently serving on the National Advisory Council for CRS University Student Programming. 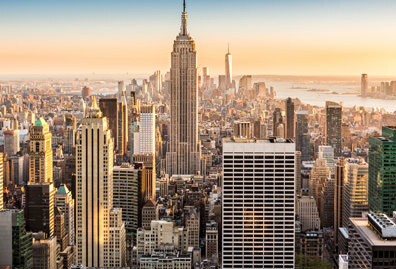 Over the years, Lois has organized Manhattan College’s participation in Operation Rice Bowl, and hosted many CRS staff members and Fair Trade producers. 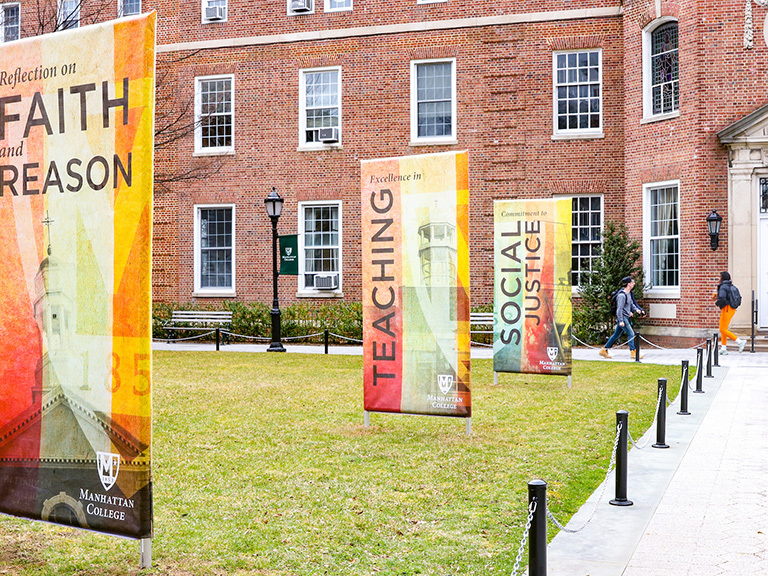 A Bronx native, Harr was appointed Coordinator of Social Action in the department of Campus Ministry and Social Action at Manhattan College in 1998 and became director in 2002. In 2015, she was named assistant vice president for student life. She is an adjunct instructor in the Religious Studies department, where she teaches a service-learning social justice course on urban issues. Harr was named the College’s Distinguished Lasallian Administrator by her colleagues in 2011. In the fall of 2012, the Lasallian Region of North America named her the Distinguished Lasallian Educator from the District of Eastern North America. 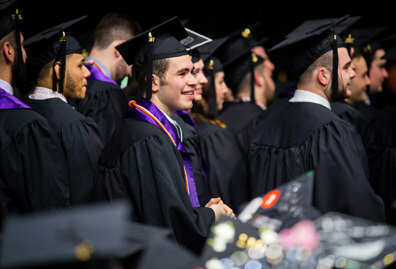 In addition to her bachelor’s degree in political science from Fordham, Harr received a master’s degree in religious studies from St. Joseph’s Archdiocesan Seminary, Dunwoodie, and a professional diploma in religious education from Fordham University. Harr and her husband, John Reilly, a 1975 Manhattan College graduate, live in the Bronx and have two adult daughters, Caitlin and Maura, both Manhattan College graduates.